Free shuttle service goes every fifteen minutes around-the-clock between airline terminals and to rental car lots. When you exit the customs area, continue straight ahead and outside the airport entrance. From there, you walk through a covered footpath and at the end of the path you will find the shuttle service. Check out the route to us in the video below. Our social security number is 530979-0249. Our VAT is 09494. 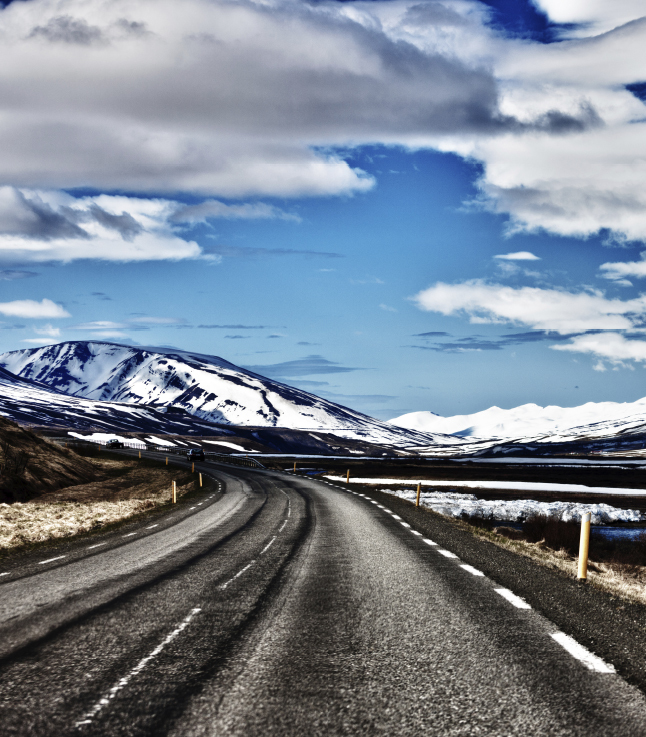 We have been in the car rental business since 1979 and know the roads of Iceland exceptionally well. 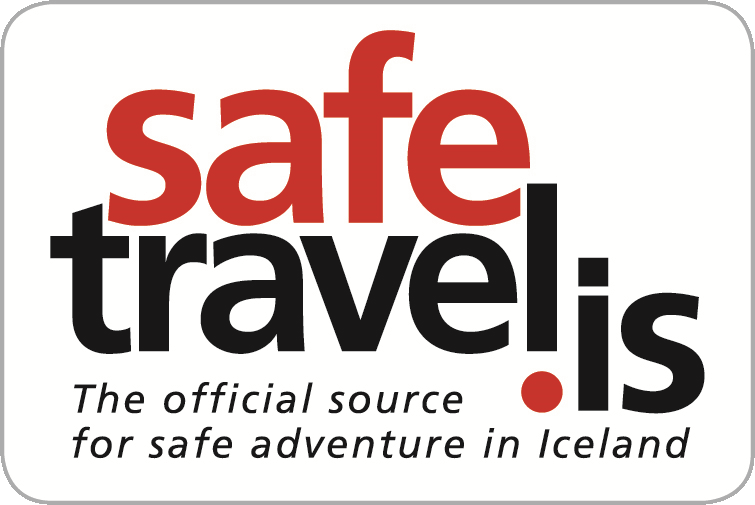 Through our long experience, we have learned that a primary concern of visitors to Iceland is to rent safe and reliable vehicles. We are travelers ourselves and we love to traveling in Iceland; we respect the Icelandic nature and would love to share our passion with you. Do not hesitate to ask for advice such as what to see and do in Iceland. We will help you to choose the right vehicle so you can experience our country in the best possible way. To provide our customers complete satisfaction, we go the extra mile in offering outstanding service. 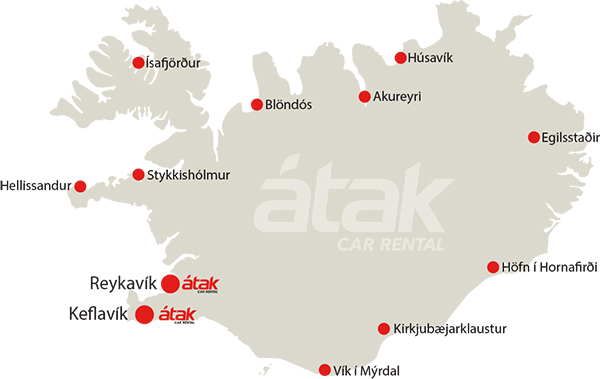 We are conveniently located at Keflavik International Airport and in Reykjavik and competitively priced. Also, we have service contacts all around the country. It's a simple fact - customer's who get great service and great cars tend to be happier. We have a vehicle suited to every budget and all your driving needs—from small cars to luxury cars, minibuses and many types of 4x4 jeeps. Just let us know what your plan is and we will gladly help to make your trip in Iceland as pleasant as possible.